In recent years, Tay Ninh province achieved remarkable results in investment attraction and has become an attractive destination for domestic and foreign investors. This success results from the seriousness of provincial leaders and reform efforts of all-tier authorities, especially in administrative reform, investment environment improvement towards transparency, attractiveness and reliability. According to experts, Tay Ninh is blessed with a lot of advantages to attract investors for economic development as it lies in the midst of Ho Chi Minh City and Phnom Penh, Cambodia and is one of components of the Southern Key Economic Region. The province shares a 240-km borderline with Cambodia, along which there are two international border gates (Moc Bai and Xa Mat), two main border gates and 12 border subordinate gates where cross-border trading has been very active. In addition, Tay Ninh is becoming the intersection of the National - International Economic and Urban Corridor which runs from the north along the coast of Vietnam to the Southern Key Economic Region through Moc Bai Border Gate of Tay Ninh province to Phnom Penh of Cambodia and ASEAN countries; the International Economic Corridor from Ho Chi Minh City to the southern part of Tay Ninh province to Cambodia through Xa Mat Border Gate of Tay Ninh; and the National Economic Corridor along Ho Chi Minh Highway which links the Central Highlands with rich minerals and industrial crops to the Mekong Delta, rich in agricultural and aquatic products. Apart from important traffic routes such as Trans-Asia Highway (National Highway 22), National Highway 22B, Provincial Road 782, Provincial Road 785, Provincial Road 786, Tay Ninh will receive traffic projects in the future such as Ho Chi Minh City - Moc Bai Highway, Go Dau - Tay Ninh - Xa Mat Highway and Ho Chi Minh Road, expected to make big breakthroughs in socioeconomic development and advance industrialisation and modernisation of the province. Beside good geographic location, Tay Ninh also owns unique potential that no other province or city has such as Ba Den Mountain, Cao Dai Holy See, Wartime Base of Central Southern Command or biodiversity in Lo Go - Xa Mat National Park and Dau Tieng Lake. Tay Ninh also has many famous and diverse traditional handicraft villages like ricepaper, Trang Bang soup, chilli salt, carpentry, conical hat, incense, rattan and bamboo handicrafts. At present, the province has five industrial parks with a total area of 3,904 ha and six small-scale industrial clusters with a combined area of 254.58 ha. Over the past time, investment in the development of industrial parks and economic zones (EZs) such as Trang Bang Industrial Park, Linh Trung 3 Export Processing Zone, Thanh Thanh Industrial Park has made progress and opened up great hopes of attracting more investors. By thoroughly tapping and promoting available potential and advantages, Tay Ninh province has achieved spectacular breakthroughs in investment attraction in recent years. The province drew just over US$1.4 billion of FDI capital with 206 projects in industrial parks as of May 2012, but it had 730 investment projects (272 FDI projects and 458 domestic projects) with total registered capital of US$5,147.1 million and VND58,153.8 billion (US$2.6 billion) as of the end of December 2017. In addition to good investment results in industrial parks and border gate economic zones, many companies are investing in key economic sectors such as tourism and agriculture to create a solid premise for further investment attraction in the coming years. 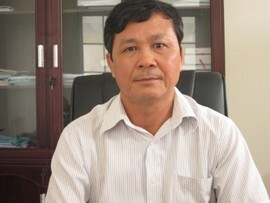 According to Mr Bui Cong Son, Director of the Tay Ninh Department of Planning and Investment, this result comes from radical topdown changes from the provincial government, efforts from relevant agencies and above all ground-breaking directions and effective utilisation of available advantages to be more appealing to investors. With the motto of accompanying enterprises in production and business, Tay Ninh has implemented many measures to reduce administrative procedures and streamline project investment licensing. Investment promotion has always been a priority of Tay Ninh province. By soliciting existing investors to invite new ones, the province has provided favourable conditions for investors when they carried out and operated their projects; helped them promptly deal with emerging hardships; and delivered best public services. Besides, the province has actively coordinated with related central and local agencies, international organisations and multinational corporations active in Tay Ninh province to organise investment promotion events to introduce local potential and investment opportunities to developed countries in Americas, Australia and Europe. Whenever investors contact, leaders of the Provincial Party Committee and the Provincial People's Committee, at all times, try to arrange and share what the know, and build up the trust of enterprises. Besides, provincial leaders hold meetings with the business community and investors to know their aspirations and obstacles. Then, they will be able to provide timely support and adjust policies and mechanisms to strengthen business interests in the province. "Tay Ninh always attaches great importance to long-term investors, stays ready to listen to suggestions from investors, and create conditions for them to expand investment scale. This attitude has received the best response from investors, thus shaping a favourable, healthy and open investment environment," said Son. Director Son said that Tay Ninh will strive to fulfil its goal of becoming an industrial province in the period from now to 2020, but it is determined not to develop at all costs but pursue modernity, efficiency and sustainability. With this direction, the province will continue to carry out some solutions to improve the local investment and business environment; mobilise and effectively use resources for infrastructure development investment, especially transport infrastructure. In addition, the province will focus on directing agricultural development towards clean agriculture and organic agriculture and increasing the value chain in agricultural production. 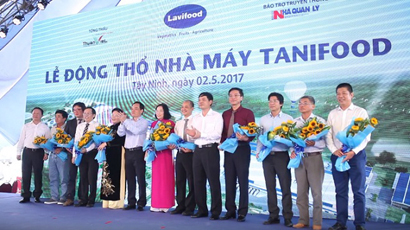 At first, Lavifood JSC invested VND1,500 billion in Tanifood factory in Thanh Duc commune, Go Dau district to process fruits for export. At present, many enterprises want to invest in high-valued agricultural development chains in Tay Ninh from 2017 to 2020. This is considered a "bright spot" in investment promotion and created a positive impact on local agricultural development. Along with high-tech agriculture, Tay Ninh is concentrating on developing trade, service and tourism commensurate with its potential available advantages and making tourism an important economic sector. The province will develop trade, service and tourism by linking and utilising local strengths and this is also the shortest way for Tay Ninh to make breakthrough after breakthrough to catch the growth pace of other localities in the region. It will restructure the tourism industry, invest in the fast and synchronous development of Ba Den Mountain tourist site, and encourage and facilitate enterprises to invest, cooperate and expand trade and service activities to ASEAN market. As for industrial parks, the province will put a premium on building technical infrastructure and social infrastructure (schools, kindergartens, etc.) in order to sustainably develop industrial parks; and give priority to investment in supporting industries and labour-intensive industries using non-polluting advanced technologies.